BigLaw 200 Jobs for October! As I promised in my last post, I have updated the BigLaw 200 Jobs for October as well. The focus on attorney jobs really helps. What do you think? I’ve updated the BigLaw 100 jobs for October. You can download it here. Based on your feedback, it seems that the attorney job listings are the most useful. In order to update the lists more frequently — BigLaw 200 Jobs will be available next week! – I decided to limit the focus to attorney jobs. In addition, next week, I’m introducing a new list that will include only in-house jobs. Right now, the plan is to include 50 in-house opportunities and update it every other week. What do you think? Would you be interested in something like that? Let me know in the comments or in an e-mail! BigLaw 200 Jobs Updated for September! 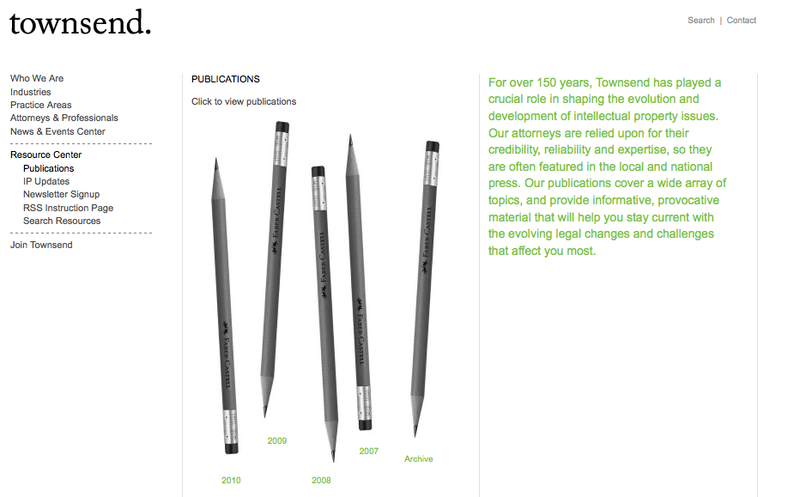 In case you missed yesterday’s tweet, I’ve updated the BigLaw 200 Job Listings for September. 190+ attorney positions including lateral partner, lateral associate, staff attorney, temp or contract attorney, and one or two entry-level openings. 45+ paralegal and/or patent agent positions. I’ve also made it easy to filter by city, state, and firm, if you click on these headers. You can also filter by practice type and years of experience columns… but, proceed with caution! These columns are still works in progress. What do you think? Is endeavor “tell a friend” worthy? I know looking at job boards is a pain but is it a pain worth solving for $4? Tell me your thoughts! DLA Piper created this blog for its technology summit that occurred in October 2008 (further details). We found these by searching Google for “DLA Piper podcasts.” You could also search for “podcast” on DLA Piper’s website. Official blogs – We could not find any official Dechert blogs or Twitter accounts. 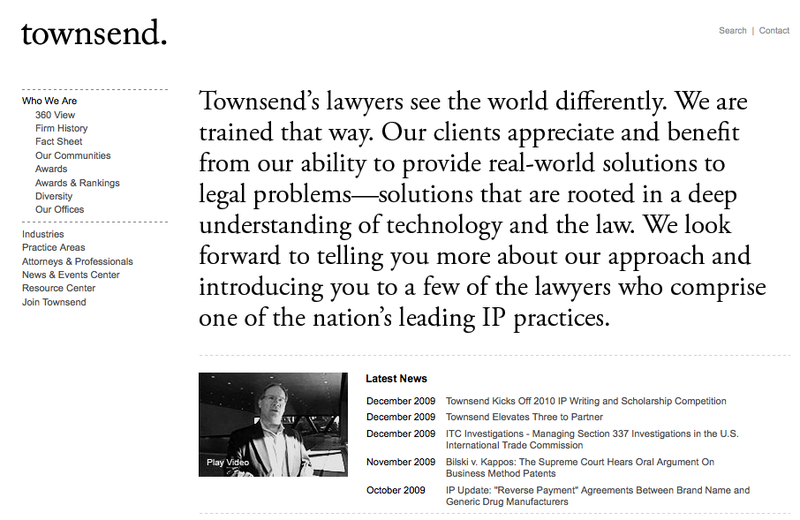 Jim’s bio on Dechert’s site speaks favorably about Jim and Mark’s efforts and successes with the blog¹, however, the Drug and Device Law’s disclaimer page is explicit that the blog only represents the personal views of the authors and not of their respective firms. Official webinars – We could not find any webinars hosted or sponsored by Dechert. ¹"Since late 2006, Mr. Beck has been the co-host of The Drug and Device Law Blog [http://druganddevicelaw.blogspot.com], now ranked as the most widely-read product liability blog on the Internet by Justia Blawg Search. This blog concentrates on legal issues encountered in the defense of prescription drug and medical device product liability litigation, especially preemption. At the May 2007 annual DRI conference on drug and medical device defense, Sheldon Bradshaw, chief counsel of the FDA, cited Mr. Beck’s blog as an "excellent" source for information regarding preemption. In January 2008, the blog successfully recieved (sic.) its 100,000 pageview (sic.) ." Official blogs – While we did not find an official Debevoise Twitter account or any official firm blogs, we do know that Debevoise is aware of both tweeting and blogging. Official podcasts – We found one Debevoise partner who participated in a podcast hosted by LexisNexis but no official firm-sponsored podcasts or webinars.